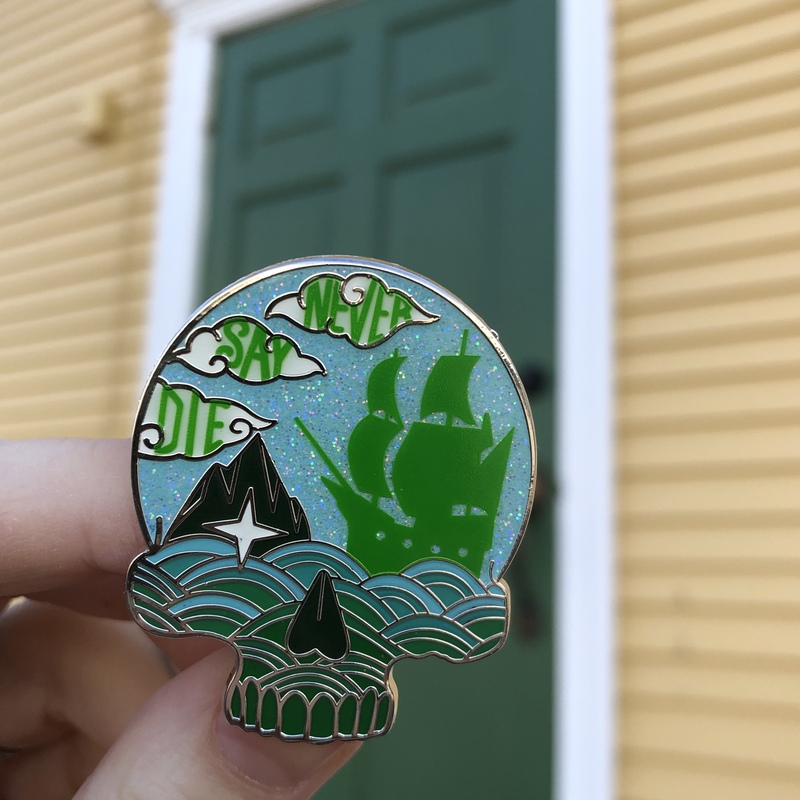 This lovely pin is around 1.5" tall, give or take. 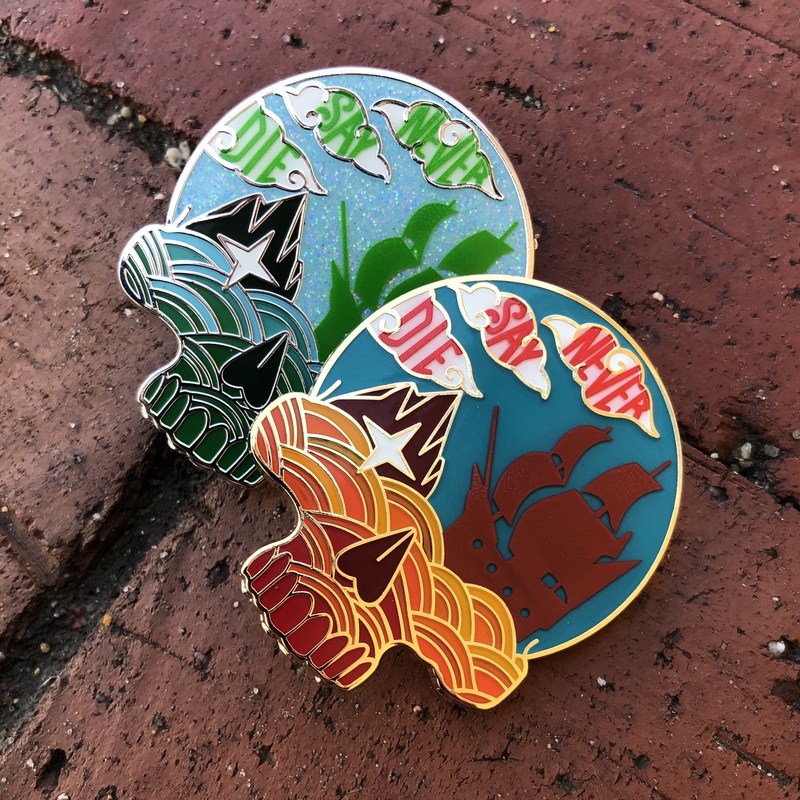 Its hard enamel and comes in two beautiful variations. Original Teal and hot colors, or cool mint and green with glitter. 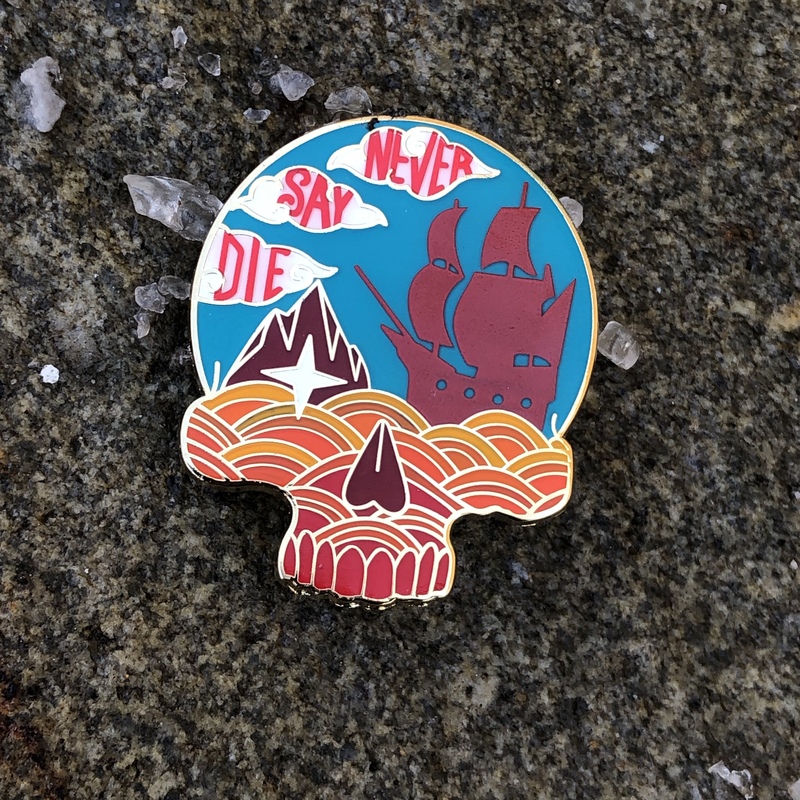 Screen printed on top, is a ship sailing away, and the words "never say die"